Fully metal frame, these automatic label dispensers are ideal for applications in manufacturing and assembly lines. 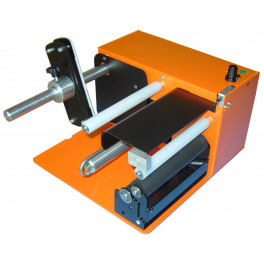 Equipped with a graphic display of 2 lines, to program the feeding length of the label. Sales and service of etiquadoras and label dispenser. Maximum label length 265 mm.